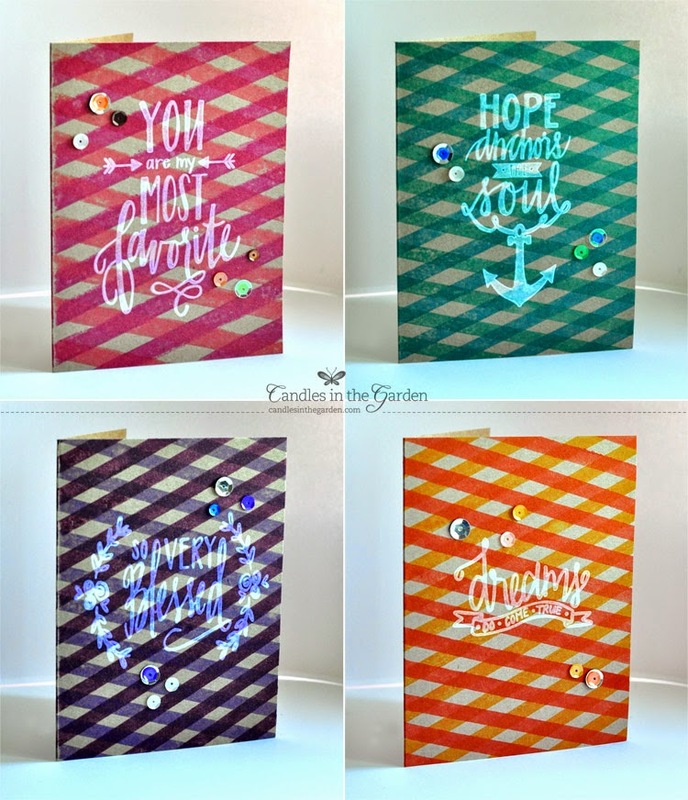 Hey everyone, Mayuri here to share a card set I whipped up using some of the awesome scripty style stamps from Neat & Tangled. 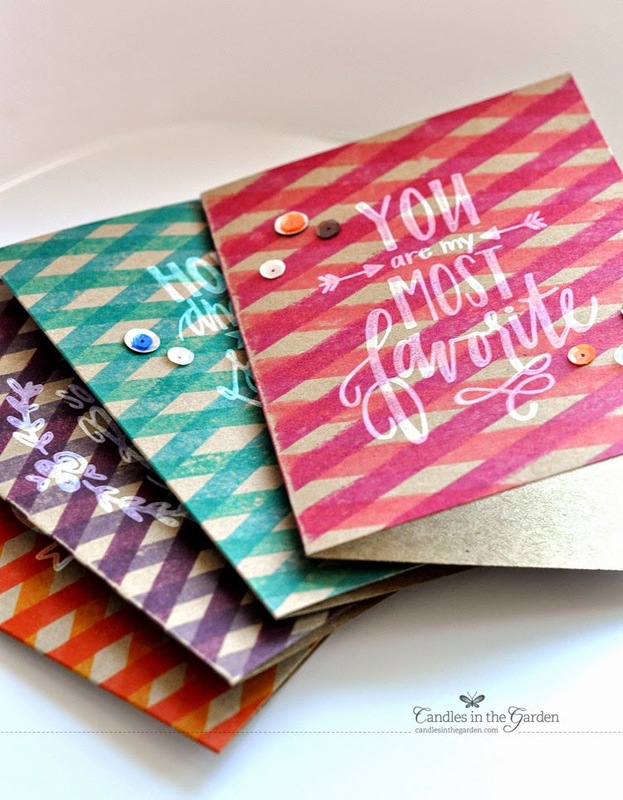 I began by stamping a very simple plaid pattern on four separate kraft card bases using Distress Inks. 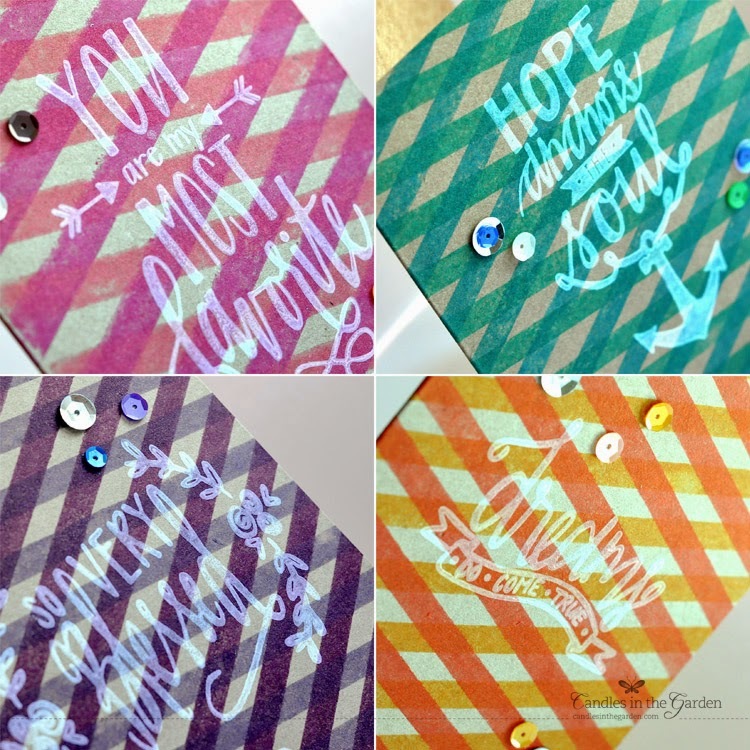 I then stamped four different Neat & Tangled scripty style stamps (My Favorite, Hope Anchors, So Very Blessed, Dreams) onto each card base with Colorbox Frost White pigment ink - I used a stamp positioner and actually stamped each sentiment three times to make the white really stand out! I did find though, that as the day went by, the pigment ink seemed to get absorbed into the card base and let the Distress Inks seep through. 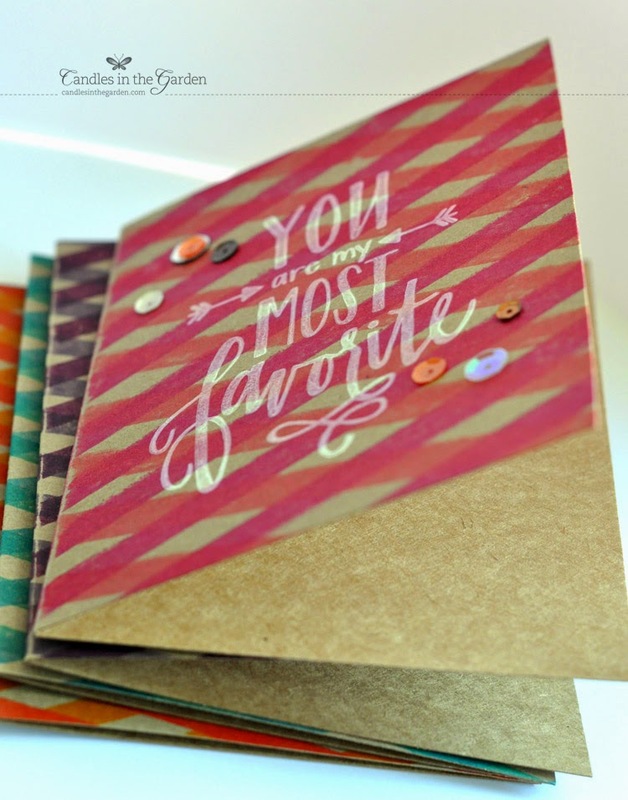 I added matching Neat & Tangled sequins to each card to finish up this quick and easy calligraphic card set! 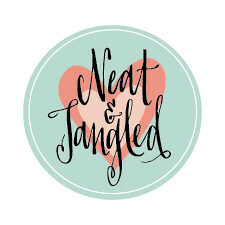 There are actually quite a few other scripty style sentiments in the Neat & Tangled store that can be used to create really quick card sets - all you have to do is change the background up and away you go! I love the transparency in some places and opacity in others, caused by your plaid absorbing through the white pigment ink, so cool. A simple but very effective card set. 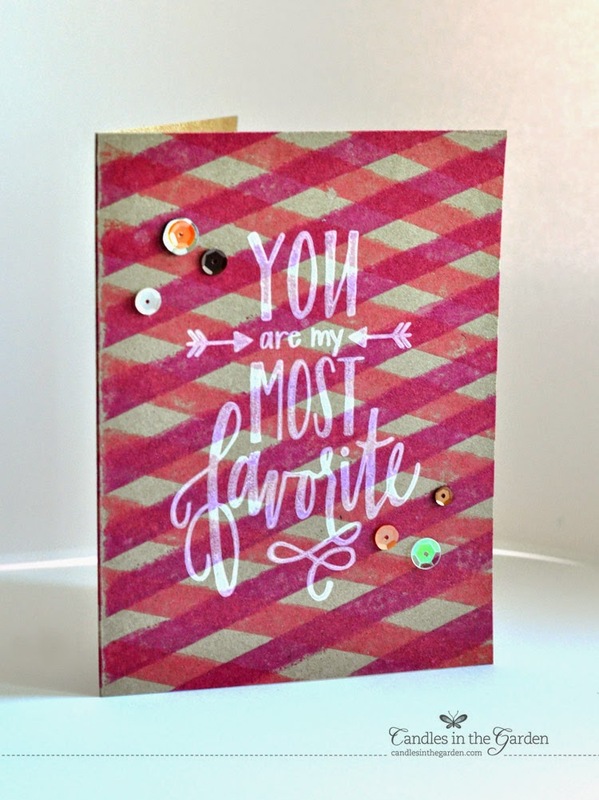 Also love the scripty style stamps, they are so beautiful that can make a card stand out by themselves. 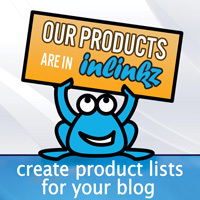 These are awesome...what a great design!